I can’t believe Halloween is in 5 days! I have been seriously slacking on Halloween prep and projects this year. I couldn’t go without doing something crafty though, so I made these gold and white pumpkins. 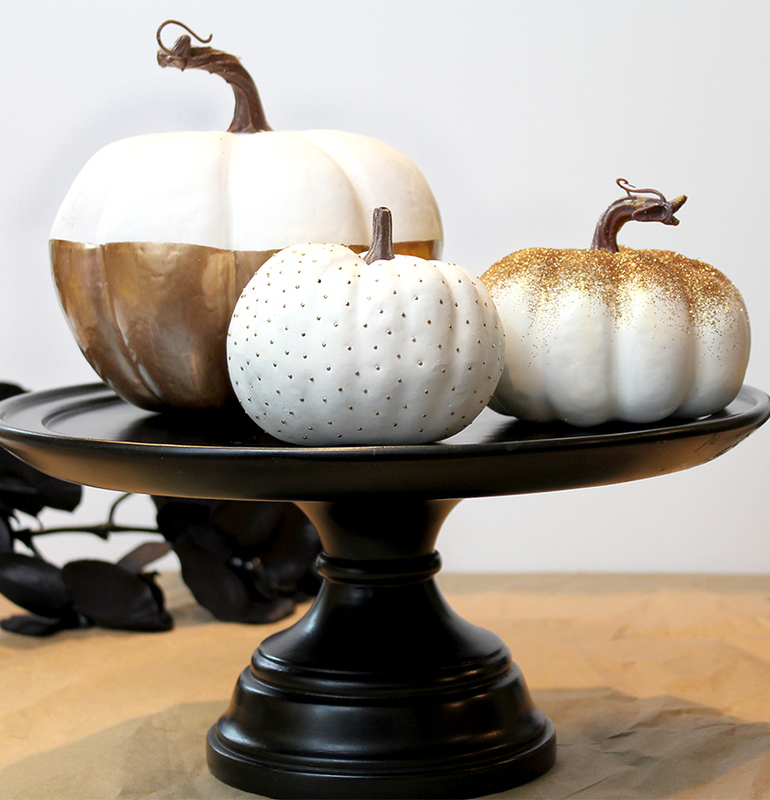 You can use real or faux pumpkins for this project. I used fake ones that were on sale for 60% off at Michael’s and spray painted them off-white. 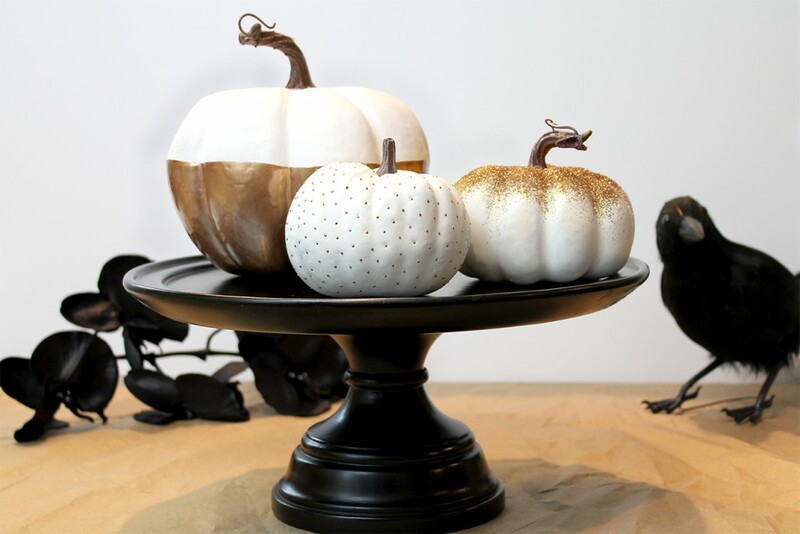 These are a super easy (and classy) way to decorate pumpkins. Paint brush (a cheap one you will throw away). Directions: Mask off half of the pumpkin using painter’s tape. Paint bottom half with the liquid leaf and repeat with a second coat. Allow to dry and remove the tape. 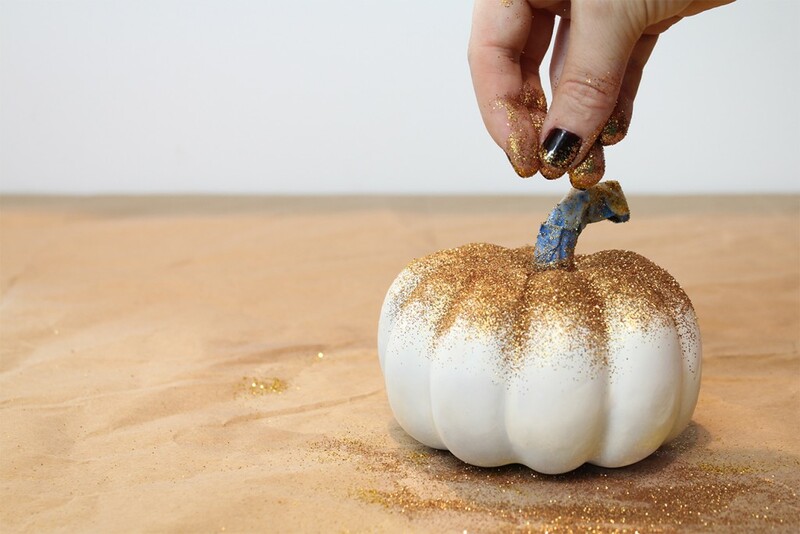 Directions: Mask off the pumpkin’s stem (if you don’t want glitter on it). 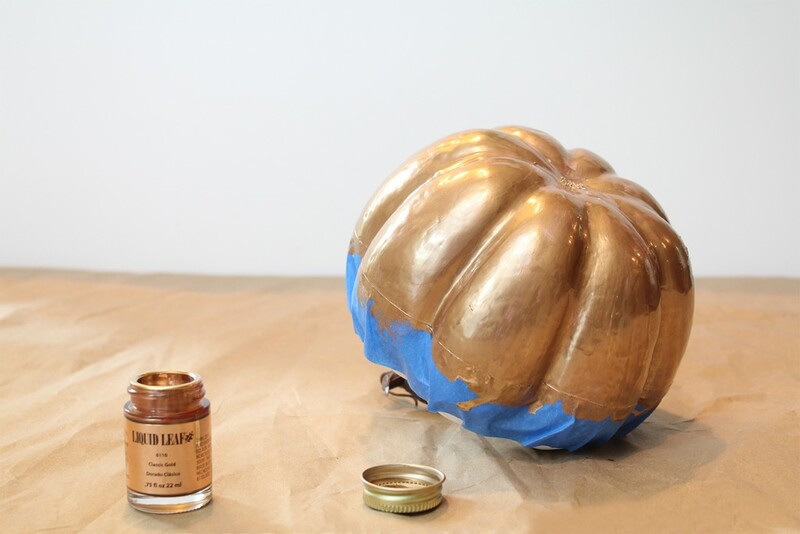 Spray the top of the pumpkin with spray adhesive and sprinkle with glitter while the adhesive is still wet. 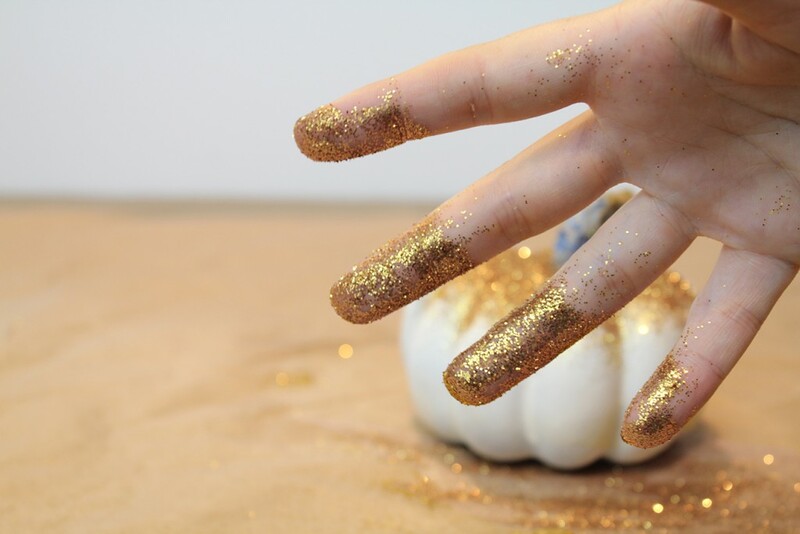 Directions: Stick pins all over the pumpkin to make tiny gold polka dots! Note: this worked perfectly with the faux pumpkin I used, it may be more difficult with a real one depending on how tough the skin is. 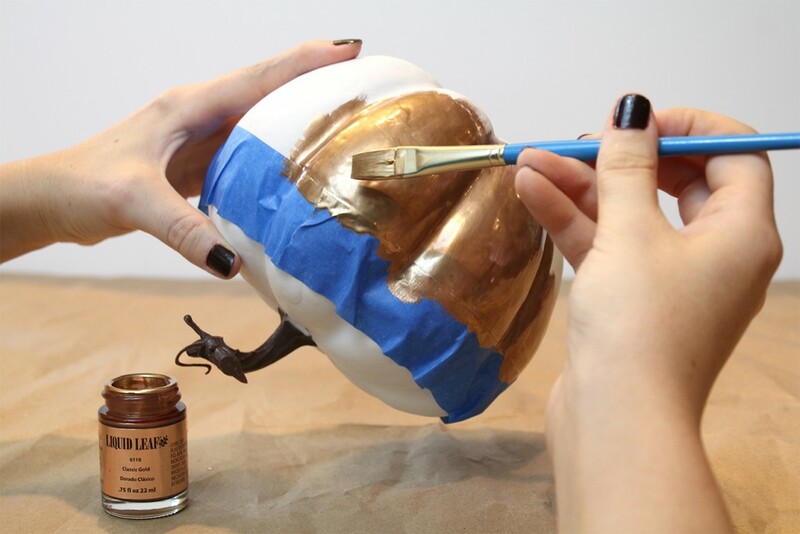 And there you have it… super easy ways to glam up your Halloween!